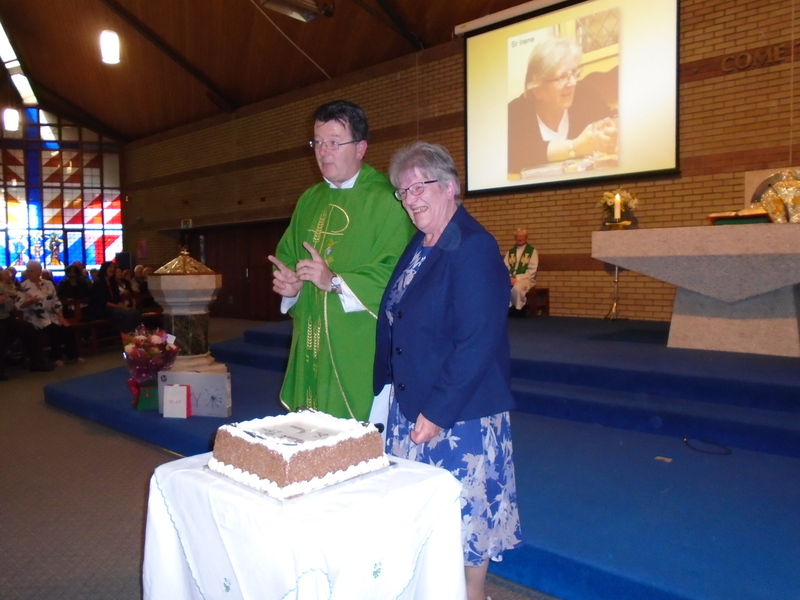 On Saturday August 12th, the Congregation of Ballygall and Glasnevin Grouping got together to bid Au Revoir to our dear Friend and Colleague Sr. Irene, as she heads to her new Role in Bonnybrook Parish. At 6.30 Mass, Fathers Joe and Harry were joined by Fr. Richard and Fr. 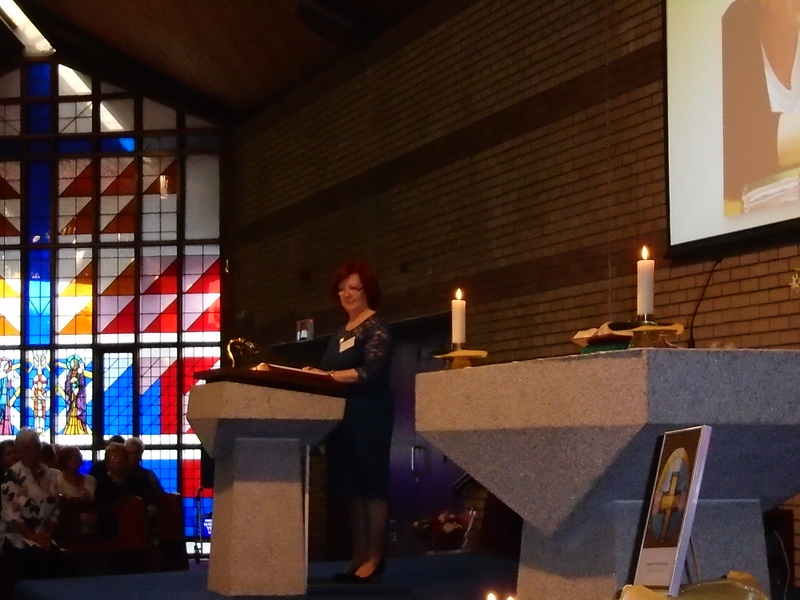 Damien as they concelebrated a special Mass to honour Sr. Irene’s long and fruitful ministry in Ballygall. Breda O Doherty, Chairperson of Ballygall PPC, paid tribute to Sr. Irene’s great contribution and dedication to Ballygall Parish. Gifts were presented by Breda, Kay, Sadie and Fr. Richard. The children of the parish were represented by Morgan, James and Lee McCluskey who presented a specially commissioned card, made by Patrick from the Website team. 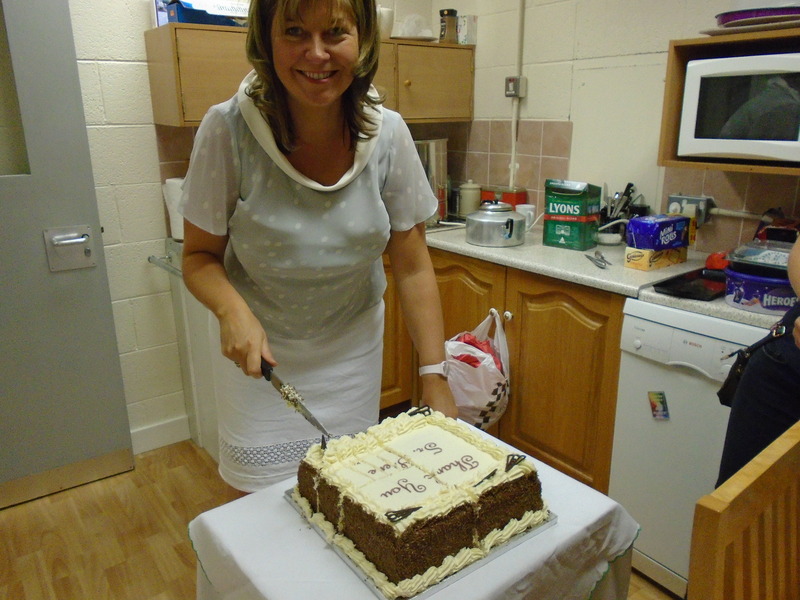 A celebration cake was cut and everyone got together for a cuppa and a chat with our guest of honour. We wish Sr. Irene good luck and good health in her new role. We will miss you.